I love beer, but some of you may not know I also really love wine. I write and talk a lot about beer, but I’m also a huge fan of wine, scotch, whiskey, bourbon and tequila. 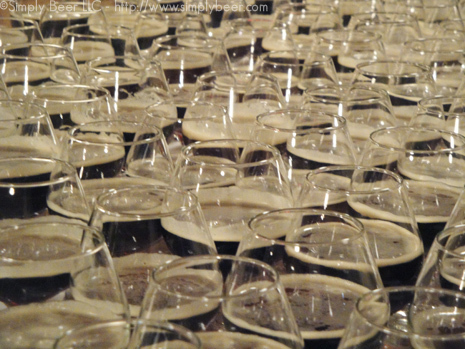 So let me share with you a photo essay of this epic Beer versus Wine dinner, sponsored by Amanti Vino, which featured Master Sommelier, Fred Dexheimer squaring off against Brewmaster Garrett Oliver. These two men are very charismatic and appeared to have lots of fun taking little shots and jabs at each other throughout the night. 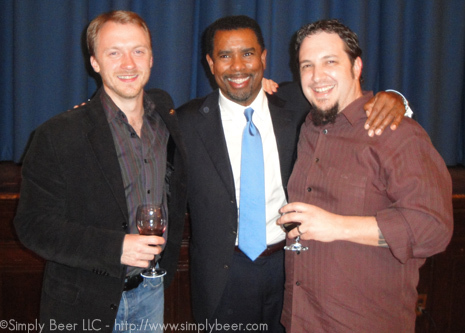 In my humble opinion and I’m sure that of Garrett Oliver, Beer triumphed once again versus Wine. Although, I will concede the wine did win at least one of the cheeses. 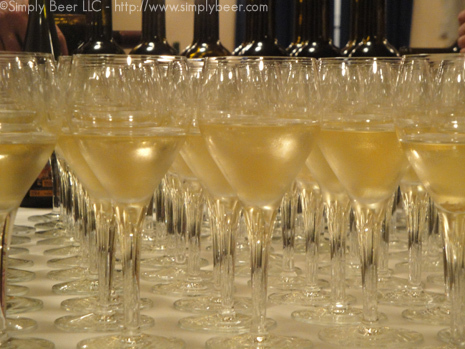 The best part of it, the wines were just as spectacular as the beer. 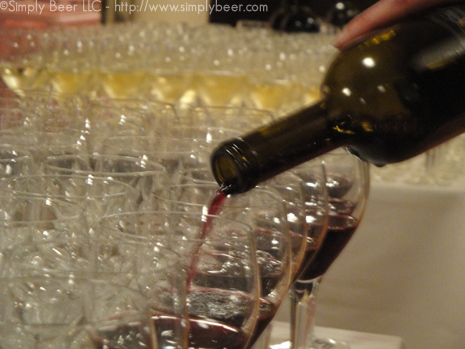 If I had the money, I would buy all the wines featured in the dinner, But the breadth of flavors in the beer made Fred’s challenge a difficult one. Garrett Oliver introducing one of the 8 Brooklyn Brewery beers we sampled. 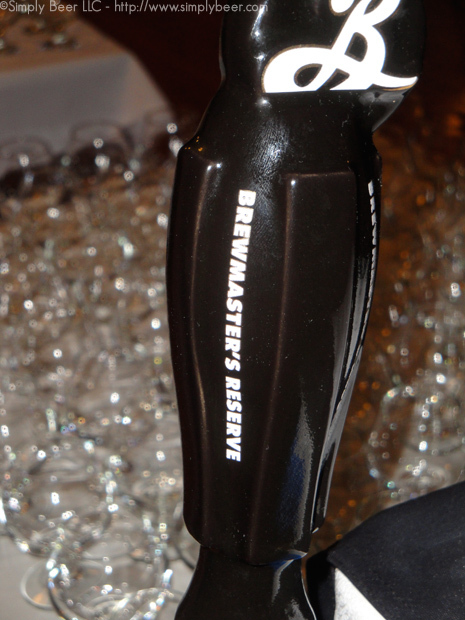 There was no shortage of beer being poured. Garrett Oliver, also a comedian! 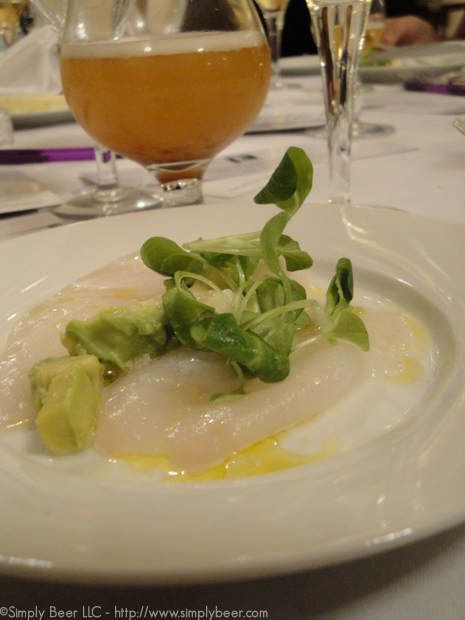 1st course, Halibut Crudo, Avocado, Orange Tapioca, Malden Sea Salt, Extra Virgin Olive Oil paired with Assyrtiko Hadzidakis 2007 and Brooklyn Cuvee de Cardoz. The fish and the sauce worked together beautifully with spices in the beer. 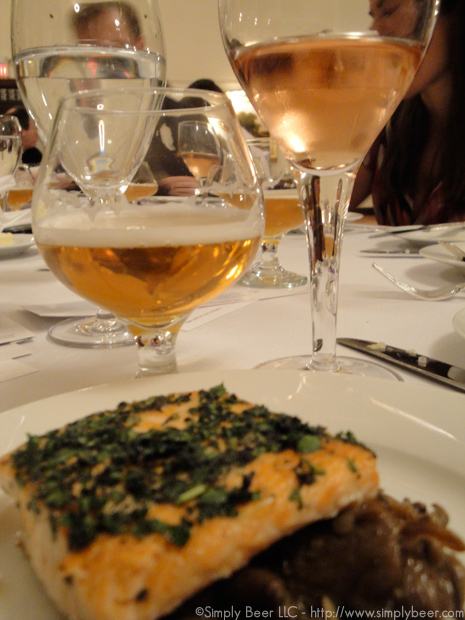 2nd course: Salmon with mushrooms and Baby Bok Choy paired with a rare Robert Sinskey Vineyards Vin Gris 2009 and Brooklyn Local 1. While the Rose and salmon were a wonderful combination, the mushroom got the better of the wine, while the Local 1 was able to nicely compliment the whole dish. 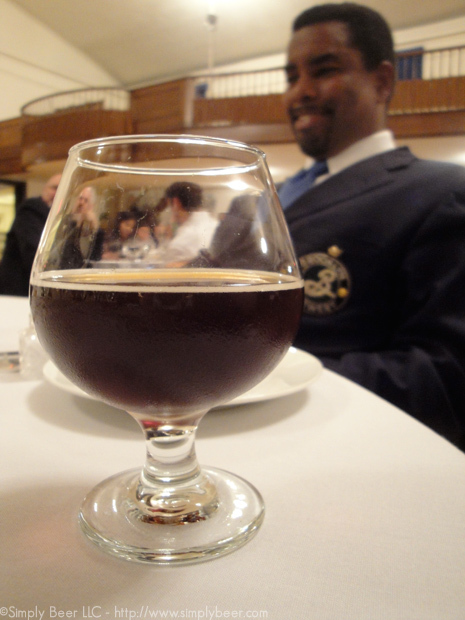 One of my favorite beers, Dark Matter, with Garrett Oliver in the background. I was lucky enough to be seated next to him for the dinner. 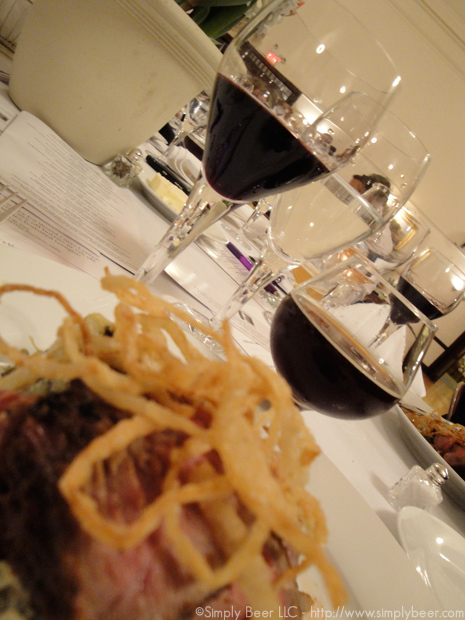 3rd Course: Dry Rubbed Flank Steak, Spinach Gratin Potato paired with Neyen Espiritu Apalta 2005 and 2010 Dark Matter. This was a tough pairing to pick a winner, but the Dark Matter was able to handle the seasoning of the beef a bit better. Note, the wine retails for $60 a bottle. 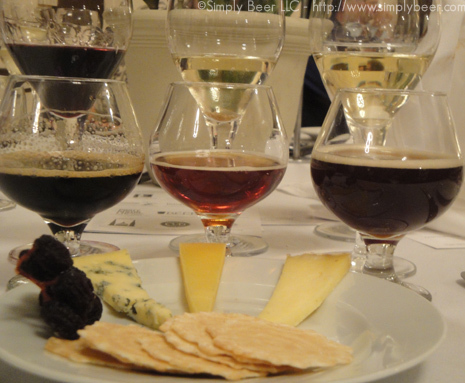 Cheese Course: 3 cheeses, 3 Beers, and 3 Wines. 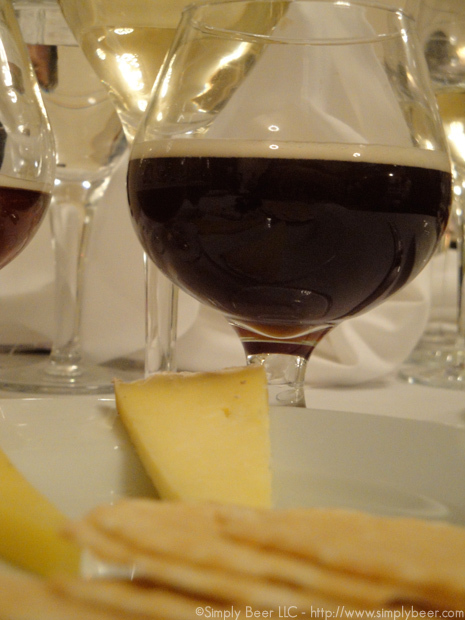 Cheese Course (middle): Pleasant Ridge Reserve, a cow Alpine cheese paired with Pavese Morgex et de la Salle 2008 and Brooklyn Monster Ale 2008. 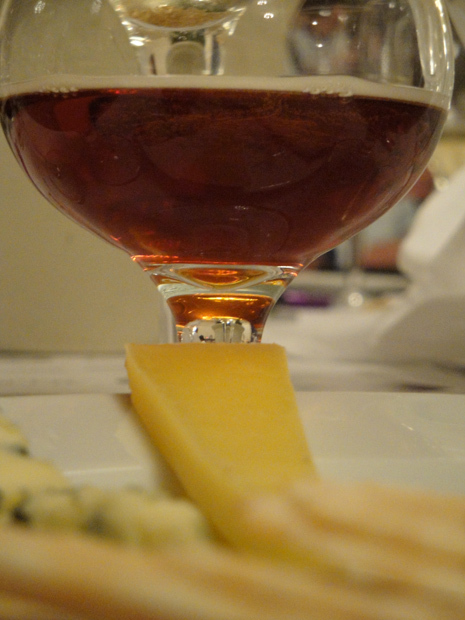 This beer is awesome, but I thought the wine was actually a better fit with the cheese. 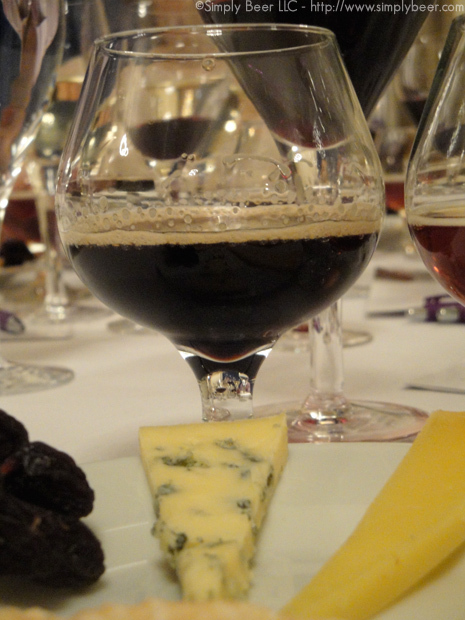 Cheese Course (left): Echo Mountain Blue cheese, a cow/goat firm blue paired with Mauritson Dry Creek Zinfandel 2008 and Brooklyn Black Chocolate Stout 2009. This was one intense blue cheese. The Black Chocolate Sout work really well, but the Zinfandel was amazing and just edged out the Black Chocolate Stout for this pairing. 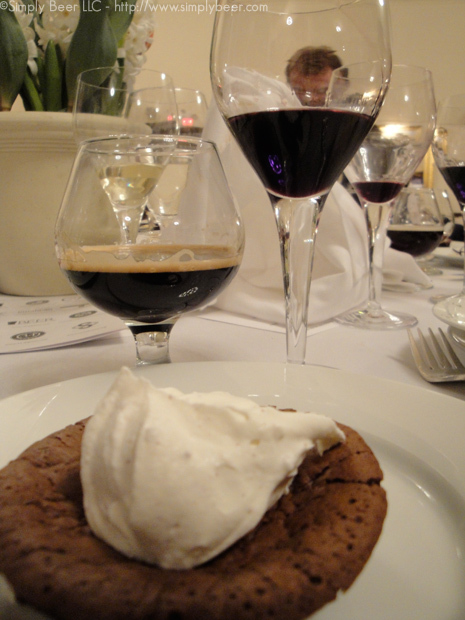 Desert Course: Chocolate Flourless Cake with Peppercorn whipped cream paired with Vinedo de los Vientos “Alcyone” Tannat Dessert Uruguay NV and Black Ops 2009. Hands down Black Ops was the clear winner. 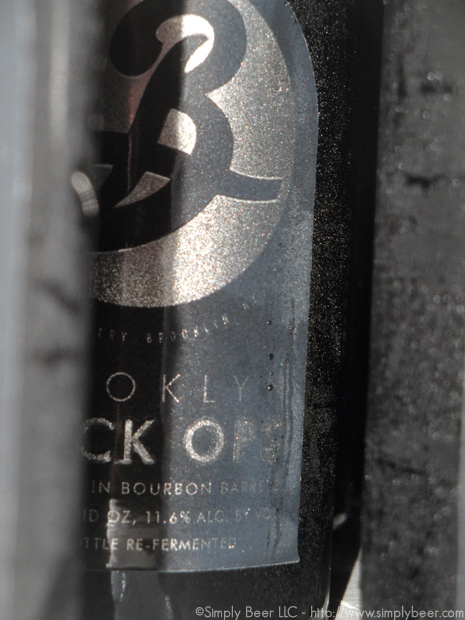 Unfortunately the peppercorns really blasted the wine, while the Black Ops was able to handle the spice quite well. Take away the peppercorn whipped cream and it would have been much closer. 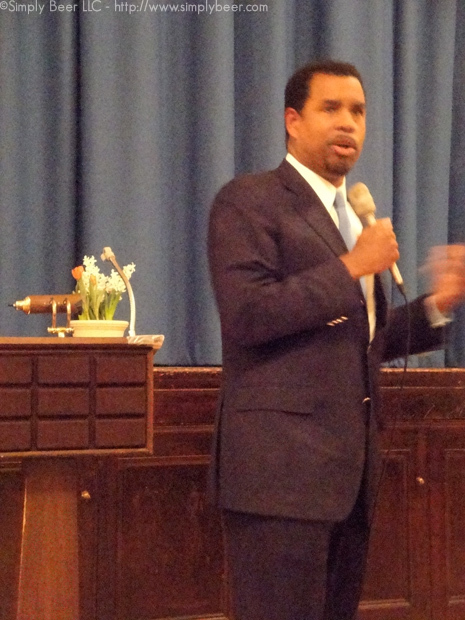 Did you miss out on this event? 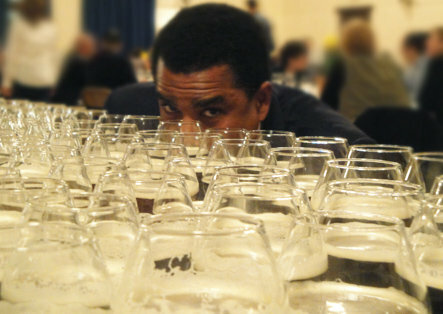 Sign up for my mailing list so you don’t miss out on future Beer Dinners and Tasting! The Last Minute Portable Kegorator! Man, I would have love to have attended. All your pictures look great! How much was this event? @nate, it was a very fun event. Being able to sit next to Garrett Oliver for 3 hours talking food, beer, homebrew, and travel was priceless. The ticket prices was $160 and $80 of that went to charity. @Mike, thanks man. It was fun! Good Food, Good Wine, and tons of fun. Very nicely done. I love reading material like this…it’s food for thought. No pun intended.